Pimples, stains, acne, blackheads, hair, change in body contour, redistribution of fat throughout the body; all this reflects growth and it’s a sign that a new stage begins for boys and girls. In addition to the noticeable physical changes, there is also a change in behavior that is vital for parents to be attentive and follow closely. Open conversations about these changes are very important. Teenagers can benefit greatly from practicing physical activities that also promote discipline and consistency such as Jiu-Jitsu, Judo, Muay Thai, and/or boxing. 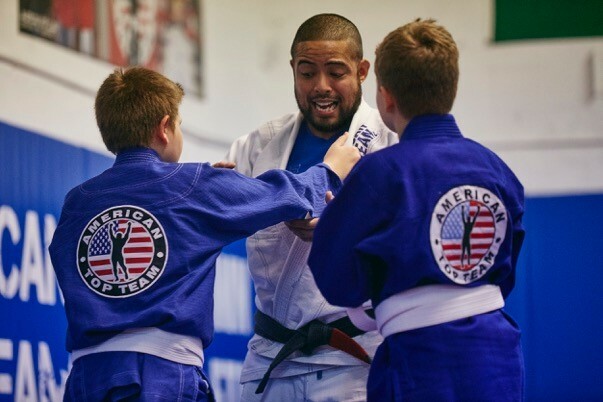 Instructor Master Junior Fernandes started in jiu-jitsu when he lost his father in his teens, which helped a lot to face the most difficult moment of his life. Inside the Tatami he now had his Master as his father figure; during that time he was encouraged to compete and dedicate himself to the sport. He also had the opportunity to make friendships that have lasted a lifetime. Mixed Martial Arts give you a family for the rest of your life. But it’s not just the hormonal changes that mark adolescence. Behavioral changes are also strong and decisive in this period. Teens generally want to be part of groups of friends who have the same interests desire and tastes. The idea is to shape an identity that reduces conflicts and promotes friendly relations. Teenagers often move away from the family during this stage because they do not find the equivalent of their social interests at home. When forming part of a team like Junior Fernandes Mixed Martial Arts, teenagers have access to adults with good influences. These adults can serve as mentors and can help teens make better choices and cruise through adolescence with less confusion and better direction. Inside the academy they will learn values that will build a stronger and more compassionate human being in the future. The understanding of the parents is always fundamental. An open dialogue is a great way of showing the path and responsibilities of the approaching adult life. Mixed Martial Arts can help teenagers release the infantile stress that is carried through adolescence and it also teaches discipline and humanity. Jiu-jitsu, Muay Thai, and Boxing can help solve day to day problems children will confront, such as the lack of concentration, listening to adults, understanding others, bullying, and avoiding physical fights. Martial Arts is te best way to build teenagers who will then be role model citizens in the future.